There are few places that celebrate living composers and their works more than the Ojai Festival. 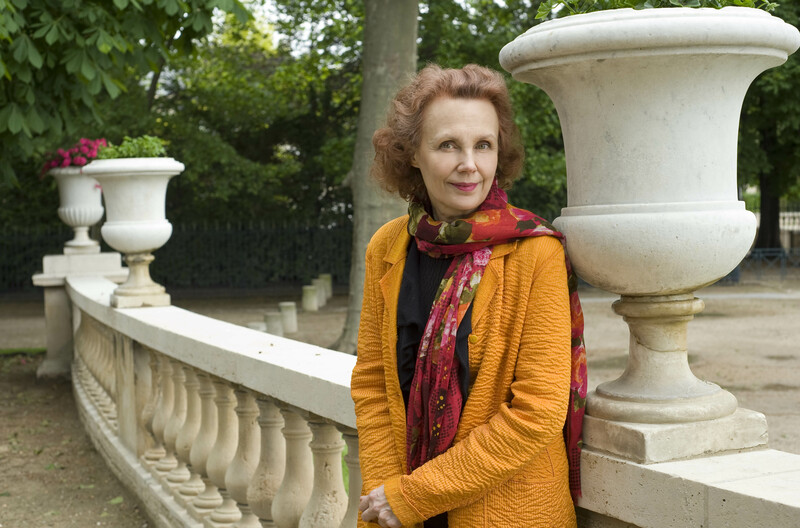 And among those favored by this haven for contemporary classical music is Kaija Saariaho. So with Mr. Sellars serving as the Music Director of this year’s Ojai Festival, it comes as no surprise that Ms. Saariaho’s music will feature prominently throughout the weekend, most notably with tonight’s US premiere of the chamber orchestra version of her opera, La Passion de Simone. What is a bit of shock, however, is that despite so much of her music being performed at past festivals, this year will mark the first time she will actually be at Ojai in person. CK Dexter Haven: Thank you for taking the time to speak with me today. 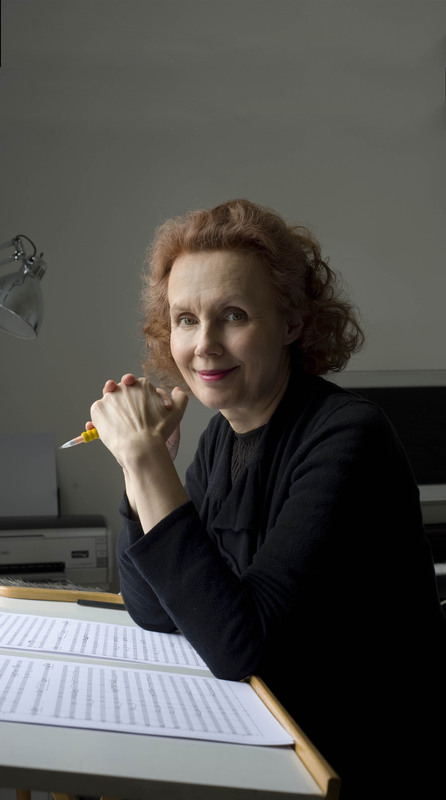 Kaija Saariaho: It’s a cold and wet evening, and so I’m very happy to speak with you. CKDH: Your music has been played at Ojai for a long time, but this year is the first time you’ll actually attend the festival in person. Why now, and why did you choose not to visit sooner? KS: Well, this time of the year there are usually many things going on. Often this is also part of my composition period, so I try not travel, especially not so far as California. Of course, Ojai is a place with many beautiful artists, so I would have liked to. This time [I was able to] because my friend Peter is the Music Director and is playing a lot of my music, including a new staging of my opera, La Passion de Simone, which I haven’t seen in person, and I just recently had an opera premiere so I haven’t yet begun composing big new work. So there are lots of good reasons and this is a good moment. CKDH: We’re very lucky it worked out! What have you heard about Ojai from Peter or Esa-Pekka or others with whom you’ve collaborated? And do you remember when you first heard about it? KS: I’ve heard about Ojai for a really long time, and I know it has some great traditions. They tell me it’s a special place with a special atmosphere. So I’m very curious and I’m very happy to finally be able to be there this summer. CKDH: How and when did Peter approach you to join him at the festival – not just to have your music performed but to actually come to Southern California? KS: Oh, it’s been planned for a long time. It seems kind of evident this time. [She smiles]. I’m not sure he even really invited me because it seemed like it was clear for both of us that I should be there this summer. We will, however, have the privilege of seeing and hearing the US Premiere of the new chamber orchestra version on the opening night at this year’s Ojai Festival. [the world premiere was performed in 2013 by “La Chambre aux échos,” a French music theatre company.] Can you please share your approach for this new version? Is it a straight re-orchestration or more of a re-imagining? KS: This was something really special. I’ve done reductions of my works before; I’ve had ideas and just followed them. This time, this young group had come to the piece; they were at the world premiere in Vienna, saw Peter’s production, and ever since have loved it. They wanted to perform it, but they didn’t have the possibility of performing it. And I think it does. I think it does. CKDH: In addition to La Passion de Simone, there was also originally supposed to be a performance of Only the Sound Remains, one of your newer works. Unfortunately, there was a difficult decision made by Tom Morris [the festival’s Artistic Director] to change that plan and it’s no longer on the program, primarily because of technical difficulties in adapting it to the outdoor environment of Libby Bowl. KS: The decision had to be made when Tom came to the premiere. I had seen the plans, but since I’d never been to Ojai, I was very worried about it. Peter didn’t really know the piece until the rehearsals in Amsterdam. He didn’t realize how fragile it is. We talked about how it’s only seven musicians, so it’s not like it an enormous sized force. But he didn’t know the kantele, a fragile instrument that needs to be tuned all the time. I saw pictures and it would have been absolutely lovely, but I don’t know how we could’ve done it in that venue. CKDH: Are there any plans or even preliminary discussions to perform it in Southern California at some point in the future. KS: I hope there are, but often I’m not part of those discussions. I know Peter himself was very upset, so certainly he’s very, very motivated to find a place. It’s very difficult. CKDH: You’ve mentioned Peter a lot, and you’ve collaborated with him for many years. How did that collaboration begin, how has it changed, and why has it lasted so long? KS: Peter has been a really big operatic inspiration for me. I’m not completely sure I would have written any of them if I hadn’t seen any of his productions because even if I’d been interested in opera for a long time, I thought there was no space for me in it. Then the first production of his that I saw was Don Giovanni in 1989, then I saw Saint François d’Assise by Messiaen and The Rake’s Progress. He really made me think about opera again. I felt that it really opened my mind and it made me think that it can be thought of differently and there is space also for me. So that’s how it started. Our first collaboration was L’Amour du loin, my first opera. Of course, in the beginning, we didn’t know each other so well. Peter wanted to protect his vision always. He was afraid that I wanted to interfere, but in the beginning I didn’t much dare to interfere. Now, I don’t mind interfering so much now that we know each other very well [smiles]. He is an interesting man. He always has strong visions which are based not only on a lot of knowledge which he says but also from a feeling of empathy and concern for today’s world. It’s always interesting. It’s not always easy, but it’s interesting and good because my work is very private work. Most of the time I’m sitting in my studio and writing my music, so it’s very contrasting. It wakes me up and gives me ideas. CKDH: Has there ever been any friction or head-butting between the two of you? KS: Sure, of course. That’s normal. CKDH: And who usually wins? KS: I think we have found ways for both of us to give in a little bit, but I think usually Peter wins. He speaks until no one has the force to resist him [smiles]. Of course, there are things that are very important to me. If there are things happening on stage, that is completely his decision, but if I feel something is going against the music, I try to discuss it with him. CKDH: As with any composer, your music has evolved over time. The music speaks for itself, but how has your approach to composition evolved? KS: Well, over the years I have developed my routines concerning my work which function best and most easily prevent the blocks that everybody gets every now and then. For me, the questions are rather practical. In a way, my feeling about my music is rather similar. It starts from a kind-of subconscious state, and it gets born from material that comes from the surface of my mind even if I’ve been thinking about it for a long time. And then, what happens after that has not enormously changed as a matter of fact. I have my way to get the music onto paper or into the computer, and have found ways to protect the music, protect the mind. This simply means that when I compose: I must not meet a lot of people; I must not go out in the daytime when my work is in process; I need to have enough time; I’m not able to travel as much as I should for my career. It’s really practical stuff. I don’t feel that my relationship to my music has changed. CKDH: Talking about practical stuff, when you were at Sibelius Academy, the emphasis was, I’m guessing, still on writing out music on paper. These days, many composers won’t – or can’t – compose on paper and go straight to computers, on “Sibelius” [the composing software] in fact. How do you feel about that and how different is it for you to work with paper vs. computers in how to approach your writing? KS: Yes, of course, I was working only with pencil and paper before. I’m left handed, so I could never use ink because I’d make a mess. So I’d use pencil, and in the old days you’d have to make photocopies so you’d have to press very hard when writing to get readable photocopies. I got a problem with my arm after I’d written my piece Du cristal which I finished in 1989, so I couldn’t put it in a good shape, so I rather early started working using the “Finale” program. Little by little, I tried to do both because it was very difficult for me to use computers; I liked writing so much. I started using computers more and more, and Finale is very intuitive for me now. But I still print out pages after writing them and then I complete it with pencil so I can still have the pleasure of drawing on paper. It’s my publisher that will finalize it. There are practical aspects, of course. If you create a file and the parts are created from that file, there is a lot less proof reading; that’s one practical detail. But I think the most important thing is how you deal with your music and how you come to whatever is set for you. CKDH: When you were first starting out, you were grouped with these other Finnish conductors like Esa-Pekka Salonen and Magnus Lindberg. You were these young, rebellious musicians. Now, of course, many people know your work around the world. Looking at the program at Ojai, you have many younger up-and-coming composers. You have someone like Caroline Shaw who is barely in her 30’s and has already won the Pulitzer Prize. What are your thoughts of the younger generation of composers? Is there anyone that you listen to a lot or whom you particularly admire? KS: I’m in contact with a lot of young composers. I tried to help them a lot. I feel that they have a really hard time, even harder than we had because the world has become so ruthless. I have admiration for many young composers. I can’t mention names because I can’t mention all of them. There are fantastic young composers, though. I’m happy to help them always whenever I can. I believe in young people very strongly. CKDH: One of the thing that Ms. Shaw has become famous for is collaborating with Kanye West. Have you ever given consideration to collaborating with popular musicians in some way? Is that something that you’re interested in doing? KS: I never met somebody who wanted to collaborate with me or with whom I’d want to collaborate. I have nothing against it, but it hasn’t happened. CKDH: How much of other people’s music do you listen to, and is it always classical music or do you listen to popular music too? KS: Knowing that I am always composing, I don’t really listen to much music unless it’s work. I get so much music sent to me, but that’s part of the work. I go to concerts a lot when I have the possibility. It’s mostly classical music, but it could also be traditional Indian music or traditional Japanese music, something like that. Rock music? It’s been a long time since I’ve got really sensitive ears. I like a lot of different music, but the problem for me is the volume. In every genre, there are lots of interesting works. I’m always interested in anything that is well done. 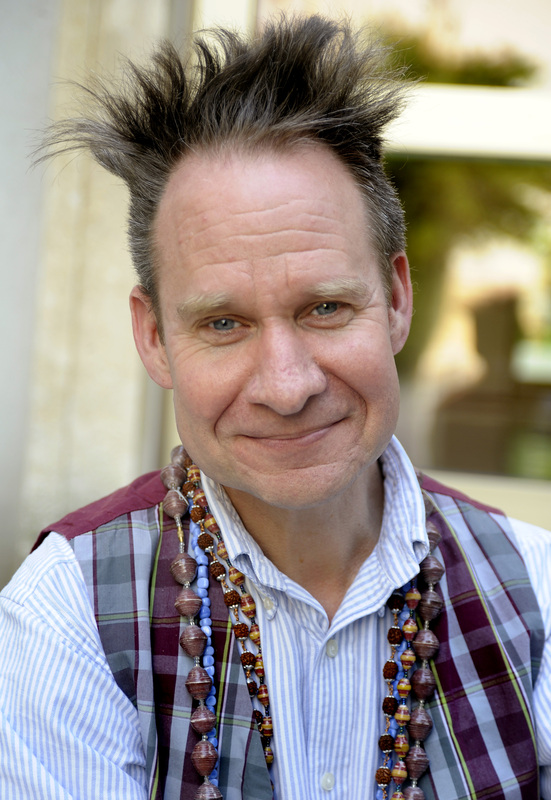 Tags: Kaija Saariaho, Ojai Festival, Ojai Music Festival, Peter Sellars. Bookmark the permalink.